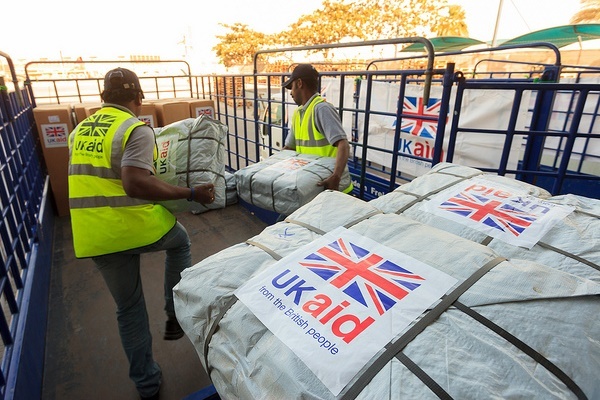 The UK is Europe’s leading donor for overseas development aid (ODA), according to a report released today (8 April) by the Organisation for Economic Co-operations and Development. Last year, Britain gave $19.4 billion, making it the second largest aid donor in the world, after the US. The UK is one of only five member states to have met the UN target of 0.7% for ODA. The others are Denmark (0.85%), Norway (0.99%), Luxembourg (1.07%), and Sweden (1.10). Total ODA from Development Assistance Committee members of the OECD remained stable compared to last year’s all time high, and currently stands at $135 billion. In March, Britain became the first G7 country to pledge in law to commit to spending 0.7% of gross national income on ODA. The law had cross party support. Currently, UKIP are the only prominent national party seeking a reduction in the overseas aid budget. Belgium also recently enshrined this commitment in law, but their aid last year only amounted to 0.45% of GDI. Despite 2015 being the European Year of Development, 10 of the EU’s 19 DAC member states reduced their aid in percentage terms. The biggest drop was Spain, which fell 20%, leaving their aid budget at its lowest since 1987. The biggest increase was from Germany (12%), but it still fell short of its commitment to increase aid to 0.7% of GNI, parting with only 0.41%. Despite this, Germany is the second highest European donor, with an aid budget of $16.25 billion. EU institutions gave just over $16 billion. Ben Jackson of Bond, the umbrella organisation for international development charities in the UK, called on Germany and the rest of the EU to start matching their monetary commitments to their rhetoric. The Paris conference will see governments from around the world come together and try and thrash out a legally binding agreement to reduce global emissions. Part of any deal will be a climate fund to help those nations most affected by climate change. Charities are calling on this to be separated from ODA. “Overseas aid is also increasingly used to pay for climate preparedness and low carbon development in developing countries. It’s clear that Europe is using the same pot of money to pay for multiple purposes, and hence robbing Peter to pay Paul,” said Oxfam’s Hilary Jeune. Adrian Lovett, ONE’s Europe Executive Director, said: “Alarm bells should be ringing at this shocking drop in aid going to those that need it most. The OECD’s new figures show a $6.7bn drop in aid to the least developed countries. That means that in 2014, aid to the very poorest countries was cut by $128 million every week – enough to vaccinate 6 million children. The share of total development assistance invested in the poorest countries is at its lowest level since 2005, when world leaders gathered in Gleneagles and made historic pledges to end extreme poverty. Oxfam's Head of Global Policy and Campaigns Max Lawson: "France should be particularly ashamed with aid falling for the fourth consecutive year. Flat-lining global aid when the needs are so great is simply unacceptable - these are tiny amounts for rich nations that mean a huge amount for the poorest. We are proud of the UK's commitment, which is a testament to the generosity and support of the British people for the poorest in the world. Oxfam welcomes the recent pledge made by Germany to increase its aid spending and encourages other countries to follow suit. What we want is for the wealthiest countries to step up and make real the history they promised the world's poor." "The EU's aid promise to poor countries has been another victim of austerity. Unfortunately official figures today confirm that despite some positive exceptions, the EU missed its overall aid target in 2015. The figures are a huge blow to the credibility of the EU and its member states during a critical year when several major negotiations regarding the future of development and climate finance are taking place," said Zuzana Sladkova, CONCORD Policy Coordinator. G8 nations committed to spending 0.7% of thier gross national income on overseas aid at a summit in Gleneagles, Scotland in 2005. Only four of the countries in the report met the commitment in 2014. Detailed summary of OECD report.